After 2 years of blogging for both of us, Jenny "The Brunette Baker" happened to find me. She then found out that I happen to live in the city next two her, which puts us literally 10 minutes from each other. Crazy! We met up just before going to the Food Bloggers of Canada conference last year and we honestly could have talked all night. I think we may have been separated at birth. She is literally the nicest person I have ever met and constantly makes me laugh. She is my #1 blogging buddy. 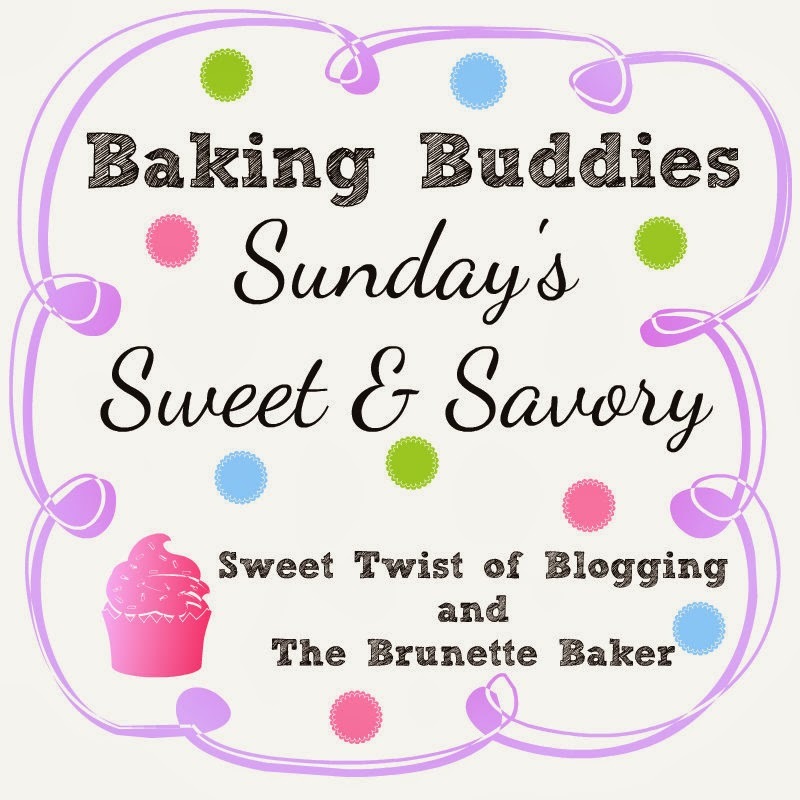 We have decided to come together to bring you our Sunday's Sweet and Savory link party. Link up your delectable dinners and beautiful baked goods. We will take it all. Each week we will pick a few favorites and pin them to your Sweet and Savory Board. Can't wait to see what you share.